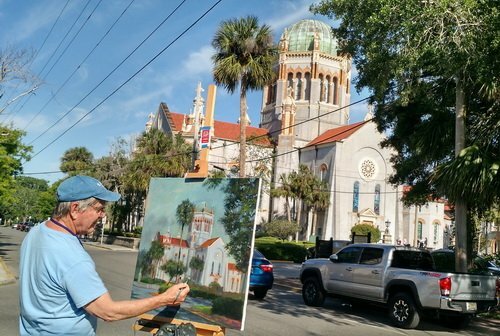 Painted on location during several days, this was one of the more difficult paintings I did during the St. Augustine Art Associations Plein Air Painting Event. I got an early morning start on the painting before cars began to park on the street. The horse and carriage was painted by taking a photo of it as it paused on the corner and using that as reference. 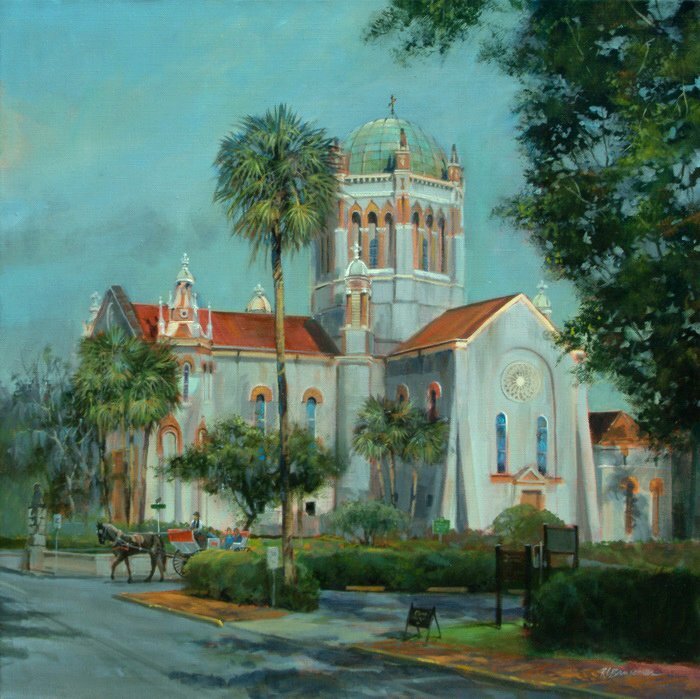 The church was given by Henry Flagler who put St. Augustine on the map when he built the Flagler Hotel. The church was dedicated in 1890 as a memorial to his daughter Jenny Louise Benedict who died from complications from childbirth. Mr. Flagler and his family are entombed in the mausoleum inside the church.